As predicted following the leak of Hacking Team exploit codes covered here, the Zscaler security research team has recently started seeing a Chinese cyber espionage group weaponizing malware payloads using the 0-day exploits found in the leaked Hacking Team archives. As such, this new attack represents a dangerous new hybrid combining the work of a notorious cyber criminal gang with Chinese cyber espionage group to attack a financial services firm. The Adobe ShockWave exploit (CVE-2015-5119) if successful will download and install a variant of the HttpBrowser RAT from the same Hong Kong based server which eventually also serves as the Command & Control (C&C) server. HttpBrowser is a RAT that has become extremely popular in past two years among the APT adversaries, leveraged in various targeted attacks. 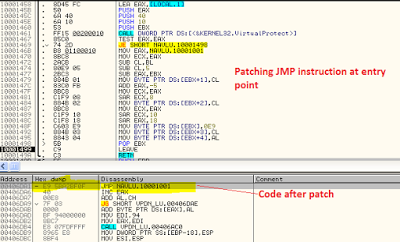 The RAT has been leveraged as the primary payload by the APT group that is also known to install the nasty Backdoor PlugX RAT during lateral movement in the victim environment after compromise. 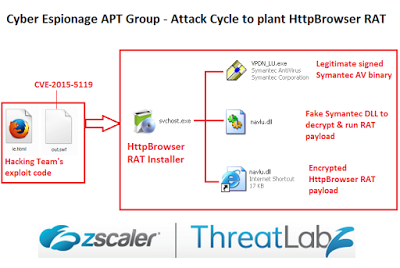 The HttpBrowser RAT installer is responsible for dropping the above three files and running the legitimate Symantec Antivirus binary VPDN_LU.exe. The legitimate binary contains the navlu.dll in the import table ensuring that the DLL will be loaded before it runs. 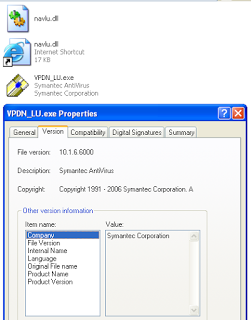 The navlu.dll that gets loaded in this case will be the fake Symantec DLL file present in the same directory and it will patch the entry point of the main executable file with a jump instruction to run the DLL’s code instead. The HttpBrowser installer structure ensures that the malware evades detection by running in the context of the legitimate signed binary. This also ensures that the malicious DLL will not run by itself in automated analysis environments. start reverse shell and send list of drives on infected system. HttpBrowser RAT, due to the range of features including SSL based C&C channel, anti-detection & anti-analysis techniques, remains the popular malware of choice for APT attacks. There have been multiple instances where this RAT co-existed with PlugX RAT on the compromised network indicating an APT adversary group with a set attack tool arsenal. The network infrastructure leveraged in this attack against the financial services firm shows involvement of a previously known Cyber espionage APT group of Chinese origin. The main motive of this group is to monitor and exfiltrate intellectual property data from the target organization. Zscaler’s ThreatLabZ has confirmed coverage for these exploits and for the HttpBrowser variant, ensuring protection for organizations using Zscaler’s Internet security platform.